At the age of 19 I got into river rafting when a friend introduced me to kayaking during my first year of college. When the semester ended for summer break I decided to join him on a long road trip from Alaska to Tennessee with the Ocoee River as the ultimate destination in sight. I had no idea what I was in for as I signed myself up to guide the Lower section of the Ocoee River. I had never been on a class IV river before, and I may have bargained for more than I could handle. The entirety of that summer was filled with large doses of adventure, adrenaline, and anxiety. Even though I had a month of training on the river beforehand, I always felt so nervous to take guests down the river and keep them safe. Some days I felt more confident than others, but the anxiety always lingered. Luckily, that summer ended successfully with no incidents. After my first summer of raft guiding I took it upon myself to enroll in swift water rescue courses while training on multiple rivers in Alaska throughout my summers off during college. Although it seemed no matter how much knowledge, skills, and safety precautions I took I still did not want to carry the responsibility and risk of a potential swimmer or a flipped raft on my watch. Guiding just wasn’t for me. I had some first-hand experiences of near drowning situations as a young child and later in life when I first started kayaking, which was part of the reason for my anxiety with rafting rivers. I think experiences stick for a reason to be a reminder of what risks to take in life. 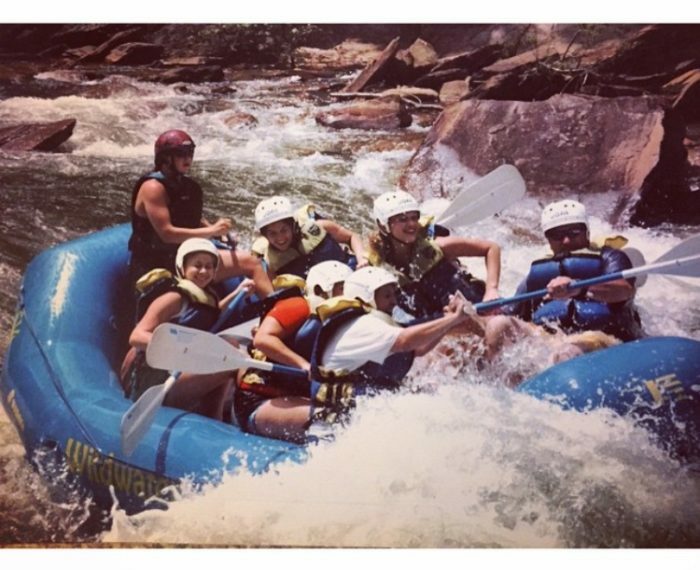 To this day I still enjoy rafting down rivers, just floating ones that don’t require as much effort. The most pleasurable part of being on the river is letting the river take you on a journey. It’s so cheesy to say, but the river is full of symbolism. It symbolizes dreams, fears, and how one responds when faced with adversity. The river has always been a symbol of my personal journey, my best dreams, my worst fears, and everything I’ve accomplished in life. And yet I keep going back to the river because I want to know what’s around the bend for me and what adventure life will take me on next. There’s always something to look forward to when floating down the river.